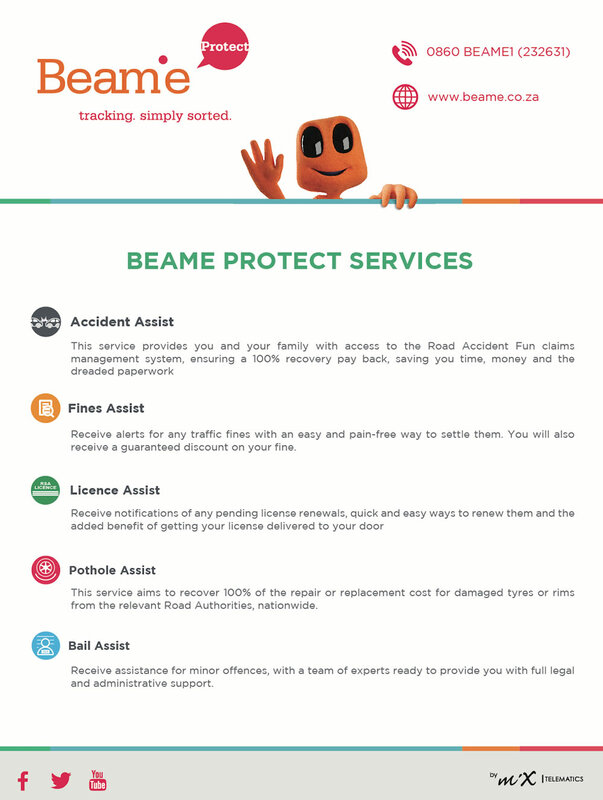 As one of our most valued customers, we would like to tell you about our additional driver assistance benefits from Beame Protect. Beame offers a simple solution for all your stolen vehicle recovery needs and is designed to combat the realities of vehicle theft and hijacking. Every day, motorists are faced with multiple road hazards, ranging from highway construction to bumper bashings. Beame Protect offers you Accident Assist which gives you immediate access to the Road Accident Fund (RAF) claims management system, with a 100% recovery paid back to you and your family. In the unfortunate event of a vehicle collision, the Road Accident Fund (RAF) is responsible for providing appropriate cover to all road users within the borders of South Africa. But after an accident, often the last thing you want to do, is deal with all the queues and paper work around RAF claims. Beware of dubious law firms overcharging people in need of legal aid after road accidents, according to Mail & Guardian. To activate your Beame Protect today, contact Beame Customer Care on 0860 23 26 31.